Our team is uniquely qualified and expertise to operate and grow a company focused on providing sustainable technologies and energy services to rural markets in Tanzania. Our leadership has the skills demanded of their positions, significant experience working as a team together, and the blend of passion and commitment required for this business. 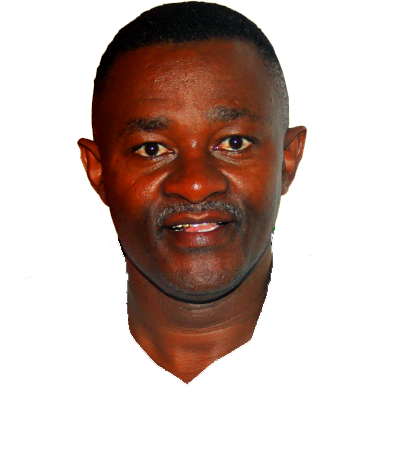 Mr. Mmasi earned his Bachelor of Commerce and Management (Marketing) at the University of Dar Es Salaam in 1992. He has worked for Glaxowellcome as Tanzania First Branch Manager, Vodacom Tanzania Limited as Regional Sales Manager Responsible for Arusha, Kilimanjaro, Tanga and Manyara Regions in 2000 to 2005 and from 2005 to 2009 as Head of Division Sales at Vodacom HQ in Dar Es Salaam. Mr. Mmasi serves on the boards of many organizations, in Tanzania. Herman earned his Bachelor of Business Administration in Marketing Management at Mzumbe University Mai campus Morogoro in 2013 He has worked with different institutions like National Bank Of Commerce NBC Kinondoni branch as the sales consultant for Six months with great performance in the field. He is an expertise in Project design and write ups. He early worked with Baraka solar as the Administrative and Finance officer for 18 months with higher performance and plenty of innovative ideas in the field under him there are four technical team members and one sales office He is young and talented, with positive attitude and smart team leader. Yudathadei has completed his Bachelor of Business Administration in Procurement and Logistic Management at Mzumbe University Main campus Morogoro in 2013. Before working with Baraka solar he has worked with Baraka coffee company as product development manager in a new company with higher efficiency and accuracy. He has been working with Baraka solar since 2014 as the Head of commercial division, with high efficiency and accuracy. The man has been very competent in team leading, sales strategies formation, sale team coaching and sales planning. Under him there are five sales officers. He is a graduate degree in Physics and is an alumnus of Institute of Rural Management (IRMA). After graduating from IRMA, he worked in the National Dairy Development Board (NDDB) for 3 years in their Management Pool Division before joining Baraka in 2010. At Baraka, Denis heads the Technical department and brings to the table many years of experience in implementing projects in the rural areas. Under him there are four Technical teams, each headed by a Baraka employed Engineer. He completed his technical studies at Morogoro National Sugar Institute of Technology Kidatu Morogoro 2011; he worked with TANESCO Kidatu as Technician for One year before he shifted to Kilombero Sugar where he performed his duties efficiently. He has been working with Baraka solar since 2012 with very high degree of performance in designing, installation, fault clearance etc.